As a Wonderful Homes New Home Buyer you will have the benefit of an insurance backed 10 year Structural Warranty and Resolution Service. Wonderful Homes will also provide you with a 1 year after-sale service and warranty from the date of legal completion which covers defects caused by faulty workmanship or materials. When you move into your new Wonderful Home you will be given a Home Information Manual binder. Within the binder will be important information about your new home including running in steps that you must follow to ensure that your new home stabilises properly during the first 12 months. It also contains operating instructions and warranty information about the heating and plumbing systems, appliances and other features of your new home including after-sales contact details should you have any problems. If the problem is with one of the appliances in your home you should first of all refer to the relevant appliance owner instructions and warranty information to confirm that the problem isn’t user error and that it is covered under the manufacturers warranty. If it is you must then contact the manufacturer’s after-sale customer service department directly to resolve the problem. For any other problem during the first 12 months following legal completion please refer to our Warranty information first of all to determine whether or not the issue is covered by our Warranty and whether it is classed as an Emergency or Non-emergency. You should then refer to your Home Information Manual where contact details are provided in the ‘After-Sales Service & Emergency Contacts’ section. After the 1 year warranty period has expired, any structural warranty issues should be reported to the structural warranty provider whose contact details can be found in your Home Information Manual. 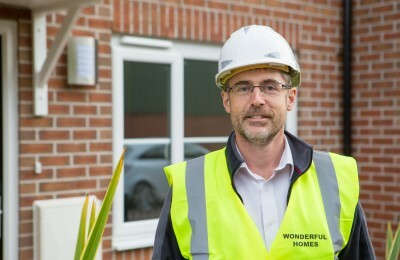 Wonderful Homes is committed to building quality homes and giving our customers an unrivalled personal service. Central to this is recognising that from time to time issues will occur and that our approach will always be to deal with any issues quickly, putting right any defects as quickly as we can with as little disruption as possible. By taking this approach our intention is that our customers will never feel the need to make a formal complaint. A complaint should only be reported in the event that you have an issue that is not being dealt with reasonably by our development site manager or our after sales service department. Prior to reporting a complaint you should also refer to our warranty page and the contents of your Home Information Manual, including the Consumer Code for Home Builders and the structural warranty provider’s handbook & policy documentation to familiarise yourself with the home builder’s obligations and issues that are not considered defects and items which are not covered by our warranty. To report a complaint please use our contact form. We will always aim to answer complaints quickly, fairly and helpfully. We will acknowledge all complaints within 2 working days. We will either reply fully within 7 working days of receipt, or reply within 7 working days to advise you of the steps we are taking and to give a date by which we will be able to reply fully. We aim to resolve all complaints within 7 working days. However, it must be understood that depending on the circumstances this may not always be possible. If you are not satisfied with the response to your complaint then you should ask to have the matter escalated to the Managing Director. The Managing Director will acknowledge all escalated complaints within 2 working days. He will either reply fully within 7 working days of receipt or reply within 7 working days to advise you of the steps being taken to resolve your complaint and giving a date by which he will be able to reply fully. What happens if the Managing Director cannot resolve the matter to your satisfaction? If the Managing Director is unable to resolve matters to your satisfaction then you may wish to refer the matter to the structural warranty provider who will conduct an independent review of your complaint and how it has been handled. Depending on the nature of the complaint the structural warranty provider will then either deal with the complaint under the terms of the warranty or provide you with an application form and a set of the adjudication rules so that the complaint can be referred to the independent dispute resolution service. Adjudication Disputes are resolved using an adjudication process. During this process, a trained adjudicator reviews written submissions from both parties and issues an award based on his or her conclusions. They will decide whether or not a Home Buyer has a legitimate dispute and has suffered financial loss as a result of their Home Builder failing to comply with the Consumer Code requirements. The Dispute Resolution Scheme is independent of the Home Warranty Bodies. Adjudication awards made under the Consumer Code independent Dispute Resolution Scheme are not insured under the Home Warranty Bodies’ home warranty schemes. Full details will be issued by the warranty provider with the application for adjudication. More detailed information on how the Dispute Resolution Scheme works can be found in the Consumer Code for Home Builders and Warranty documentation contained within you Home Information Manual, or on the Consumer Code for Home Builders website.